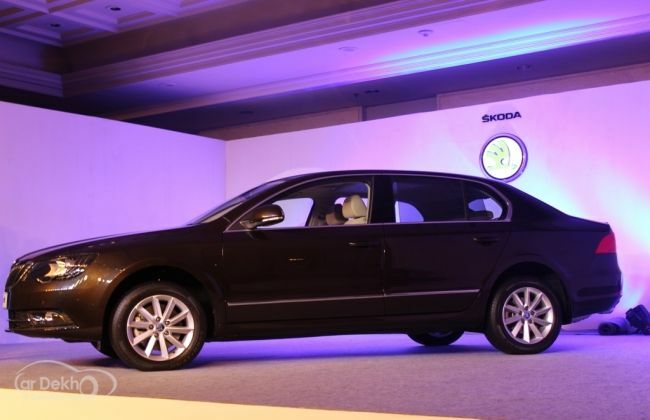 After unveiling the facelifted version of the sedan christned Superb at the 2014 Auto Expo, the Czech automaker Skoda has today launched the vehicle in the Indian market. Some cosmetic changes have been done to the exteriors and interiors, making it much more aggressive and sportier than the current model. Apart from this, Skoda cars also added several new features to the facelifted Skoda Superb. This facelifted saloon is available in two variants; Ambition and Elegance. 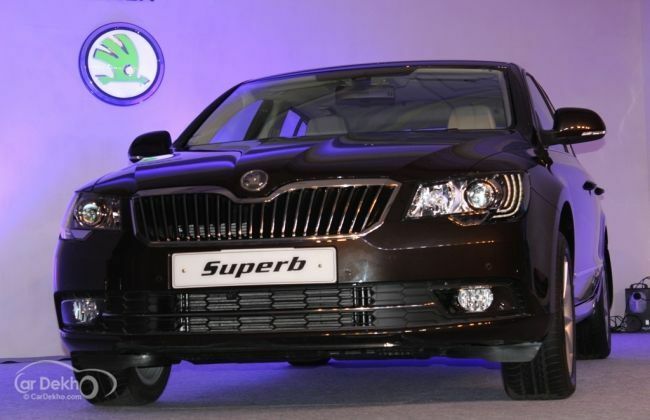 The 2014 Skoda Superb Price has been revealed and it is available in the market with a starting price of Rs. 18.87 lakh (Ex-showroom, New Delhi). Mr. Sudhir Rao, Chairman & Managing Director, Skoda Auto India said that the introduction of the Superb facelift is part of our ongoing model offensive strategy. This model is even more appealing than its predecessors and retains the features and comforts that our customers have become accustomed to. Coming to styling, the updated saloon gets Skoda's new family look. This vehicle gets a new front fascia which comes with new butterfly grille, refreshed bumper, new bonnet and revised headlamps. The new headlamps of the car features integrated daytime running LEDs that further enhance the overall look of the vehicle. It also sports revised logo, while the top-end variant feature power washers. At the rear, the new model comes equipped with new tail-lamps with LEDs and revised boot, while the licensing plate has been moved to the boot-lid. The side profile of the car now features a new set of alloy wheels. The facelifted saloon has received minor interior changes that make it look more up-market than the previous model. The interior cabin features a push button start, larger wheelbase and new three spoke steering wheel. It offers more luggage space that can be extended further by folding the rear seats. Coming to powertrains, the updated saloon comes with the same set of engine that powered the current model. The 1.8-litre TSI petrol engine churns out a maximum power of 158bhp and a peak torque of 250Nm. The 2.0-litre TDI diesel mill delivers a peak power of 138bhp and 320Nm of torque. It also comes equipped with good comfort and safety features. The adaptive front light system offers best possible visual condition while driving at night. The other aspects include a hill hold control, eight airbags for driver and co-passengers, height-adjustable headrests and three-point safety belts. This new Skoda Superb facelift will rub shoulders against the rivals like the Toyota Camry, Honda Accord and VW Passat.